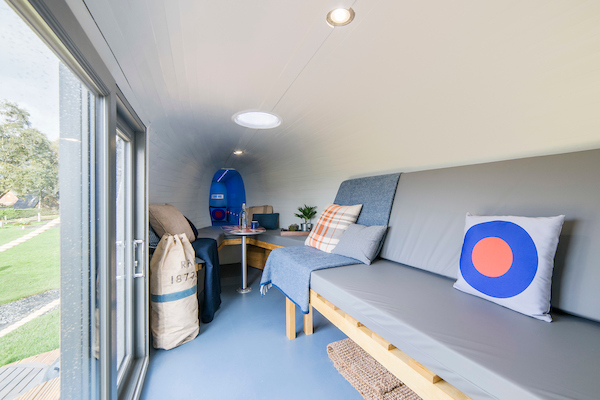 Welcome to Helicopter Glamping at Mains Farm, Thornhill, Stirling. 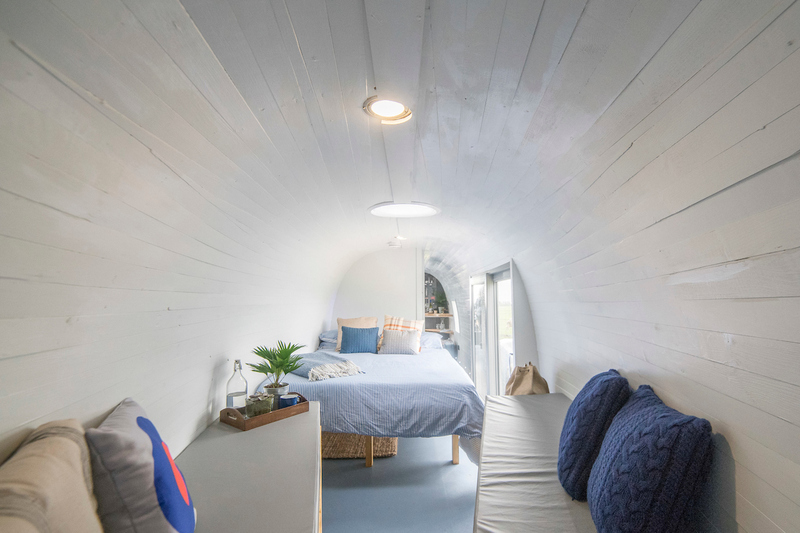 Scotland's most unusual place to stay is now ready for take off! Ever wonder what it would be like to sleep in a helicopter? Well now you can! 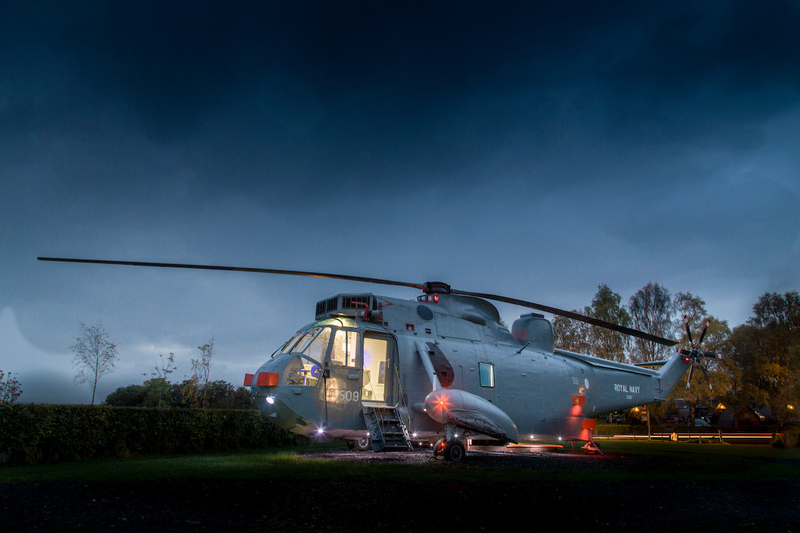 We have transformed a Sea King helicopter into a stunning luxury overnight accommodation complete with mini kitchen and shower room. 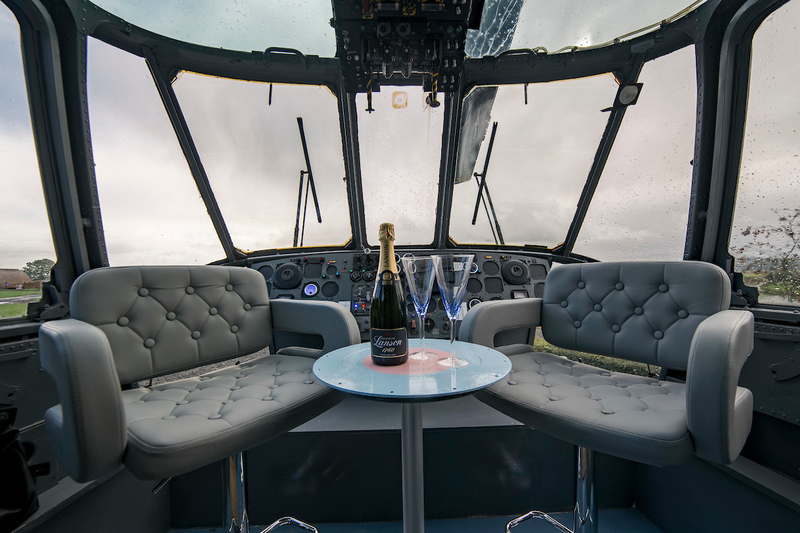 Our helicopter takes glamping to a higher level, with fantastic original features, a quirky bed in the tail and a spectacular cockpit seating area with panoramic views over the Carse of Stirling. We think it's every child's (and big kid's) dream holiday home.